Hivos is an international development organisation that seeks new solutions to persistent global issues. Founded in 1968 and inspired by humanist values, Hivos works in Africa, Asia, Latin America and the Middle East at a local, regional and global level, together with local civil society organisations in developing countries to contribute to a free, fair and sustainable world. Through smart projects in the right places, Hivos opposes discrimination, inequality, abuse of power and the unsustainable use of our planet’s resources. The Southeast Asia Hub is located in Jakarta, Indonesia, with offices in the Philippines, and Timor-Leste. Hivos Southeast Asia Hub currently works with approximately 69 partners, under two clusters, OPEN and GREEN, and is active in networking, lobbying and exchanging knowledge and expertise. Strategic Partnership on Green and Inclusive Energy (SP-GIE) is a multi-stakeholder partnership launched in 2016 between Hivos and three national civil society organisations who envision that Indonesia’s energy should be green and it should be inclusive. Supported by the Netherlands’ Ministry of Foreign Affairs, the partnership believes that Indonesia can secure its energy while simultaneously open its access for all people, including women, to support productivity. The partnership sees that the needs and access of energy will be delivered through a clean energy system that is inclusive, which not only creates economic opportunities but also reducing gas emission, thus mitigating climate change. To do this, Hivos work with Institute for Essential Services Reform (IESR), Yayasan Lembaga Konsumen Indonesia (YLKI), and Koalisi Perempuan Indonesia (KPI) focusing on lobby and advocacy work together with media and other key stakeholder. In order to elevate Hivos SEA’s public awareness on its strategic partnership including in Green Energy and Open Society, the hub has identified a series of media engagement to be conducted from 2018 – 2019. The media engagement will include but not limited to media familiarization field trip, journalist fellowship and workshop on writing feature article on Green and Sustainable Energy, and a series of regular media networking among others. The Multimedia Consultant will support Hivos SEA’s outreach initiatives in building social awareness of the partnership (including SP-GIE’s and Open Society) by developing relevant visibilities and layout, visual graphic design, photography and videography services, and other digital outlook needed for its relevant counterparts. The consultant is expected to share a quotation of daily rate. 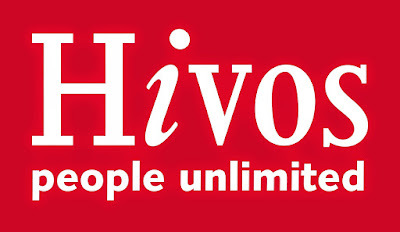 Affinity for Hivos’ vision and mission and are driven by a strong motivation to contribute to real and lasting change.